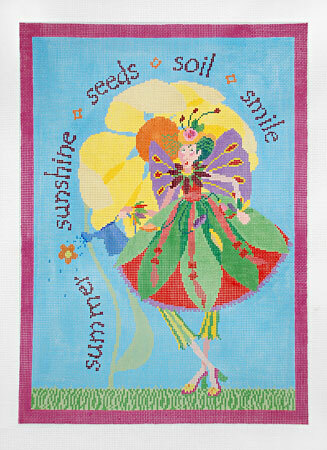 One of the two big needlework tradeshows was this past weekend. There’s lots of new canvases from all the designers popping up everywhere. We will be stocking the walls with new so check out our what’s new section online or come for a visit. I thought I would show you some of my new designs. 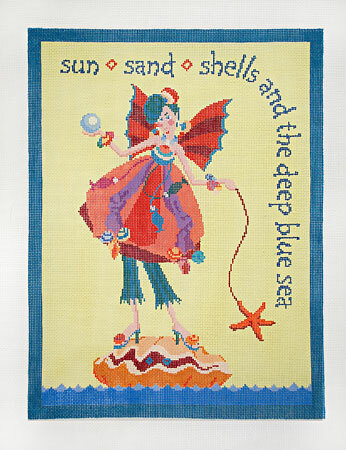 All are available through Bedecked and Beadazzled or through your local needlepoint shop. Lets add a little whimsey and magic to our lives this year. We have a new series of fairies to sprinkle some magic into your life. 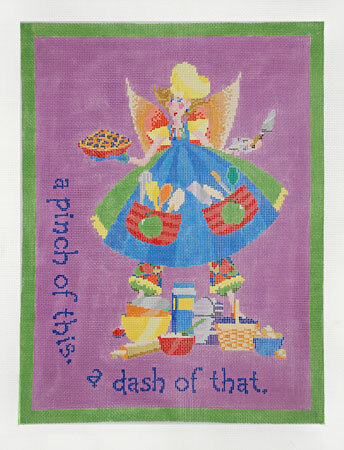 And of course the Needlepoint Fairy. We have a stitch guide in progress for this little girl and she’s going to be great. 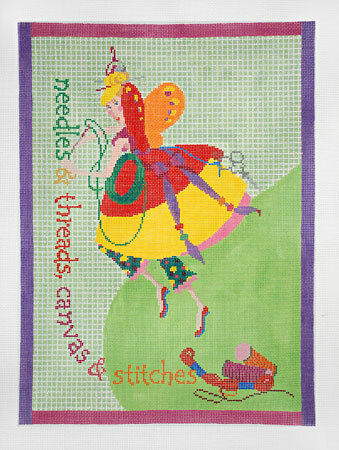 Sheena of Sheena’s Sweet Stitches is working on it now. How cool is that? 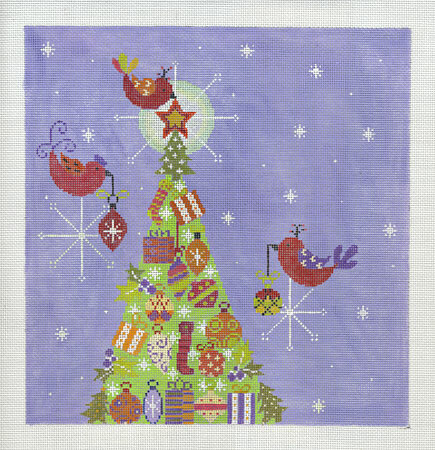 We also have a pair of new Christmas designs. 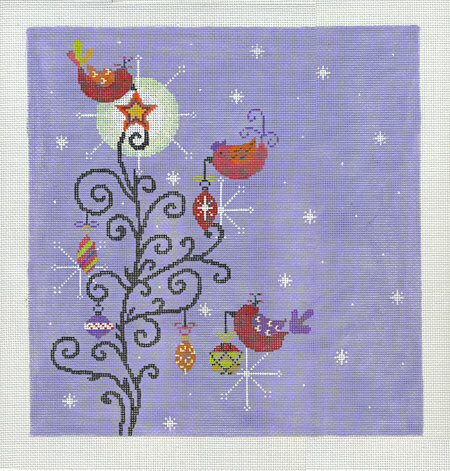 A traditional tree with folk art birds and a more contemporary tree with the same birds. So fun.